Take advantage of an Ohio statewide initiative to partner with libraries on workforce development, you can use your library card with your LinkedIn ID to access vocational education and computer assisted instruction on thousands of courses. 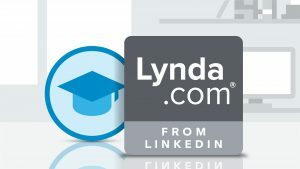 The link to Lynda.com is under Employment Resources and Adult Learning. Lynda.com provides over 600 courses in software development, 700 courses each of design, web development, and photography, and another 1200 business courses. Through the program Lynda.com patrons may stream videos to a variety of software products and digital technologies. All of these options are offered FREE to everyone with a library card and LinkedIn profile ID.